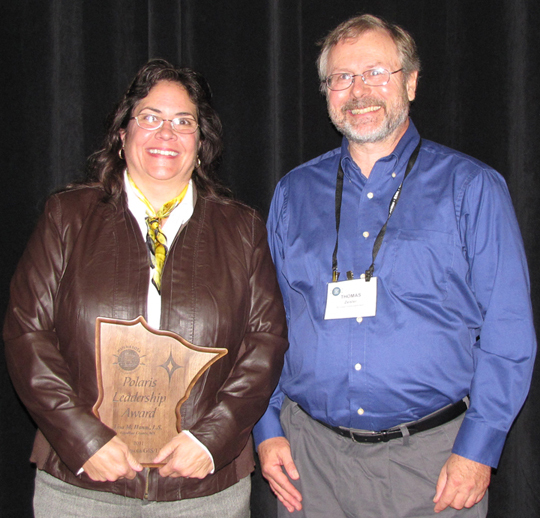 MN GIS/LIS Polaris Leadership Award Winner - Lisa M. Hanni, L.S. As a leader in the Minnesota GIS/LIS community, Lisa currently is the County Surveyor, Recorder, and Director of Land Use Management in Goodhue County, and the County Surveyor for Dodge County. She is the first female County Surveyor in Minnesota and is now the Vice Chair of the state licensing board. In 2001, she initiated and organized Minnesota’s first county-wide data collection of a digital elevation model utilizing LIDAR. She continued to support the effort to obtain LIDAR throughout the state. She established the Goodhue County GIS User’s Group, which includes cities, the tribal community, SWCD, and an electrical cooperative. This collaborative effort saves money and reduces the duplicative effort of creating, maintaining, and serving GIS data. These efforts resulted in a Governor’s Commendation Award (2009) and an ESRI SAG award (2010). 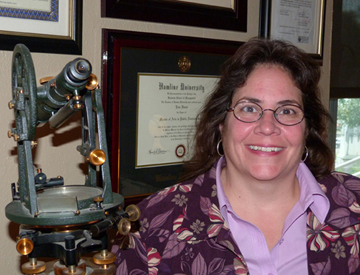 Lisa is a professional leader who continues to serve the public and guide our GIS/LIS community. 2011 Polaris Award recipient Lisa Hanni with 2010 Polaris Award winner Tom Zeisler.